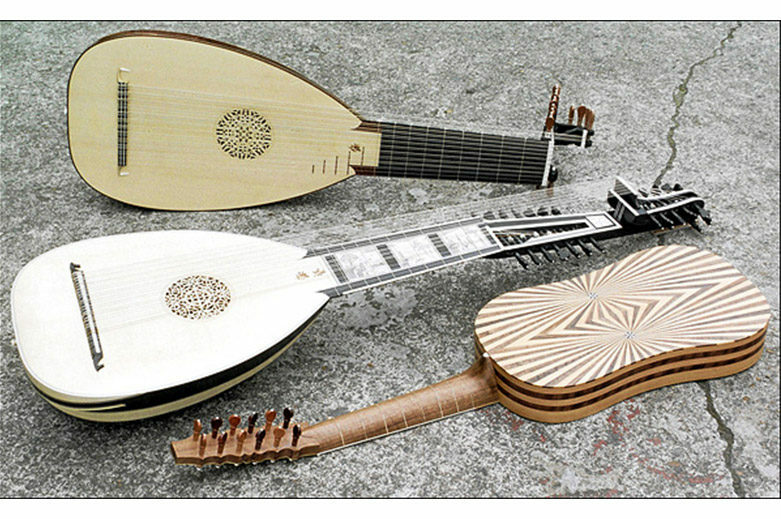 Stephen has been making lutes, vihuelas and early guitars professionally since 1976. His work has always been based on researching and documenting surviving historical plucked and bowed stringed instruments in all of the major public and private collections throughout Europe. He has done documentary drawings for all of the leading musical instrument collections in England, beginning with making a drawing of the earliest (known) surviving guitar for the Royal College of Music in 1976. This was followed by a succession of drawings for the Victoria & Albert Museum’s instrument collection, commencing in the same year, and for the Ashmolean Museum, Oxford, in 1978. Sandi’s instrument making career was inspired by her father, who numbered making and playing early instruments amongst his many and varied creative talents. From 1982-1986 she studied plucked stringed instrument making at the London College of Furniture under Stephen’s tuition, and began working with him in 1985. Since beginning our collaboration we have constantly renewed and extended our knowledge and documentation of the surviving original instruments on which our making is fundamentally based; whilst forever continuing to revise and develop our own techniques, as our experience of the essence of how different woods and other organic materials work acoustically has grown and developed. In 2010 we were commissioned to make a copy of the historically significant ‘Chambure’ vihuela for the Cité de la Musique museum, Paris and, in 2011, we provided the entries for the guitars, English Guittars & Citterns for the revised and definitive catalogue of Musical Instruments in the Ashmolean Museum’s collection. Following the hurricane of October 1987, we received several different and, in some cases, rare or unusual timber species from the Royal Botanic Gardens, Kew and made a lute from some of those timbers for the Jospeh Banks Institute of Plant & Timber Technology at Kew, which was displayed for several years in its ‘Thread of Life’ exhibition and is now housed with the permanent exhibits there. 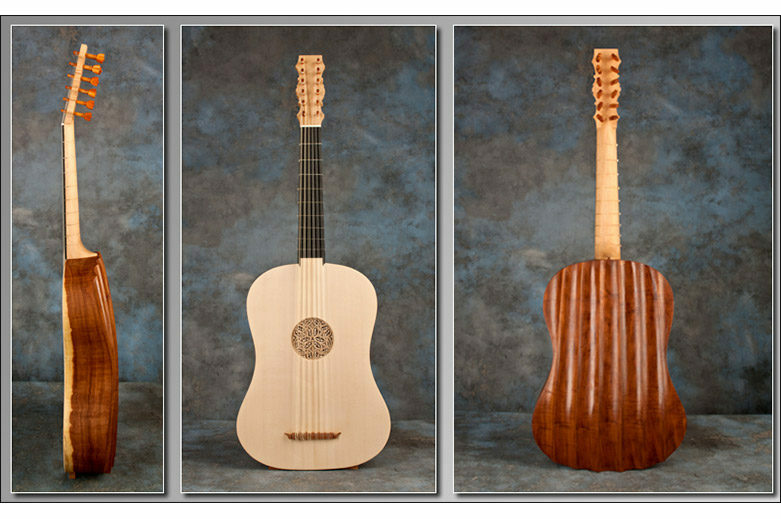 Clients have included almost every leading professional player of lute, vihuela and/or renaissance & baroque guitar, along with amateurs from all walks of life; while more mainstream celebrated customers have included Julian Bream and Keith Richards. Our instruments have occasionally been used in theatre and film productions, most recently in the film Luther starring Joseph Fiennes. We have supplied instruments to various music colleges in the UK, France, Belgium, Germany and the USA and have delivered lectures and talks on our research and making work at schools, colleges and summer schools throughout Europe. Our global reputation is based on continuous research and documentation of instruments in museums and private collections worldwide. As well as working on commissions we set aside small gaps in our waiting list each year to build instruments to offer for immediate sale, please enquire for details of forthcoming models. These gaps also allow us to fit in some orders within a much shorter timescale than ‘normal’ for customers with an urgent need for an instrument – for an imminent recording project, for instance; please enquire for details.